Easter is just around the corner, and now’s your chance to make a delightful decoration for your home that’s perfect for the season. This bunny wall hanging, who looks a little like an Easter egg himself, is easy to make and fun for all ages. Join us and bring this little fellow home with you on Thursday, March 1, at 6:00 p.m. There is a small fee, payable on March 1, for this class. Please register by calling 315-986-5932, or adding your name to the sign up sheet in the library. 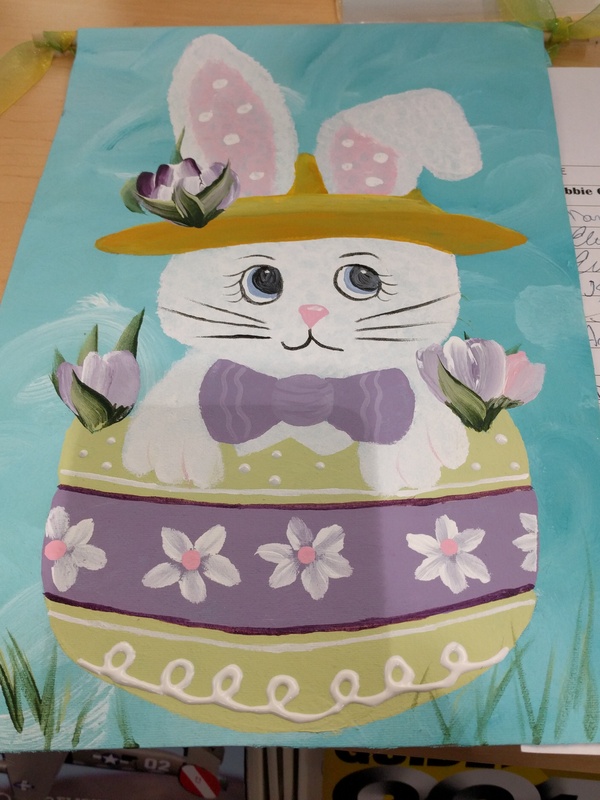 And mark your calendar for our next Crafty Capers, to be held on March 15, when we’ll make a beautiful reverse-painted tulip vase painting that would look lovely on your wall or as a gift.